Posted on April 17, 2013 by Susan H.
Toronto Star Cookbook More Than 15 Diverse And Delicious Recipes Celebrating Ontario. Look at those mouth-watering photos taken by photographer Ryan Szulc. 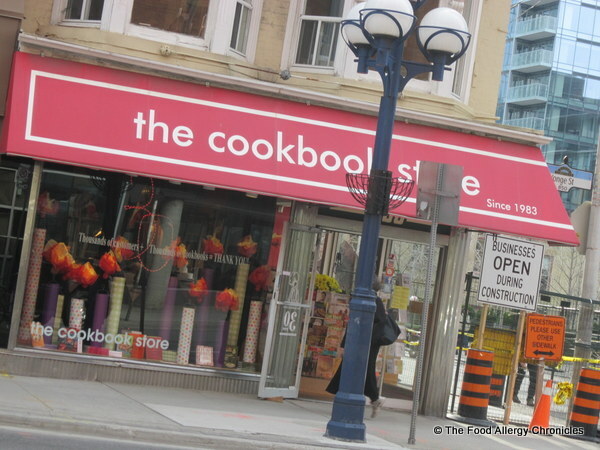 …The Cookbook Store on Yonge St. Toronto. Click here for a link. 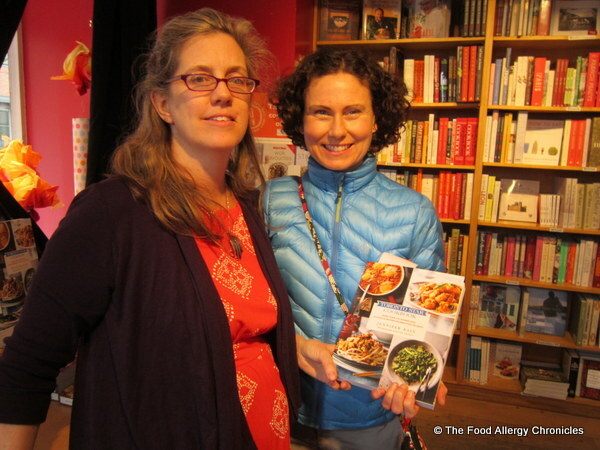 The Cookbook Store is celebrating it’s 30th Anniversary this year. Click here for a story The Toronto Star recently wrote about owner Alison Fryer’s cookbook store journey. My early arrival gave me the opportunity to catch up with Jennifer and to meet her husband, young daughter and 6 month old son. …and have Jennifer personally sign it for me! I am over the moon! With a bit of time on my hands…I engaged in a conversation with Jennifer’s daughter, Hazel. I was curious to know what a 5 five-year would choose as her favourite recipe from her mother’s cookbook. In a very decisive manner…with no hesitation at all she declared…Mango Lassi. Luckily, Jennifer was in ear shot and helped to describe Mango Lassi to me. Mango Lassi is a drink made up of yogurt, mango pulp, ice cubes and sugar…sounds delish! I now have it marked with a bookmark that Hazel so kindly offered for me to take home. The Toronto Star Cookbook reads like a book…full of Jennifer’s tales as a food editor, stories of reader’s love of recipes with a variety of recipes celebrating Ontario. 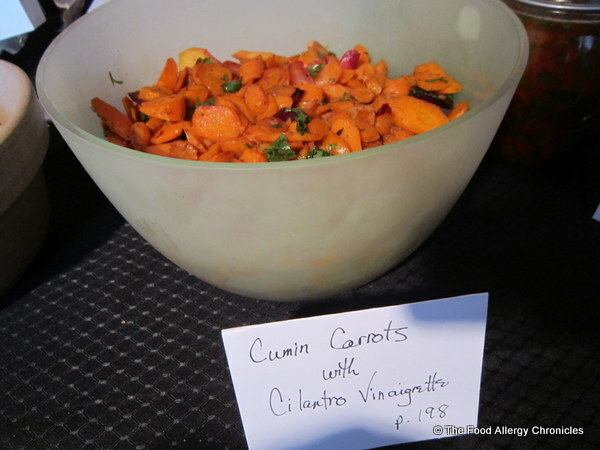 Cumin Carrots With Cilantro Vinaigrette. The Toronto Star Cookbook’s photography is stunning…the recipes were hand selected and personally tested by Jennifer herself…so I know, if the recipe sounds delish, it will be delish. What better way to start one of my allergy friendly adaptations. I cannot wait to whip up my first dish! The recipes I had sent in as my favourites for the Toronto Star Cookbook may not have made it in the top 25 READERS CHOICE…but I did make it in the book! I am thrilled, honoured, ‘tickled pink’ that I made it in the Star READERS SPEAK OUT section of the cookbook…20 rave reviews from Star reader’s favourite dishes made it. Even if my dream of publishing my family’s journey and compilation of our favourite allergy friendly recipes into my very own cookbook remains but a dream…I feel honoured to have made it into the pages of Jennifer Bain’s Toronto Star Cookbook. 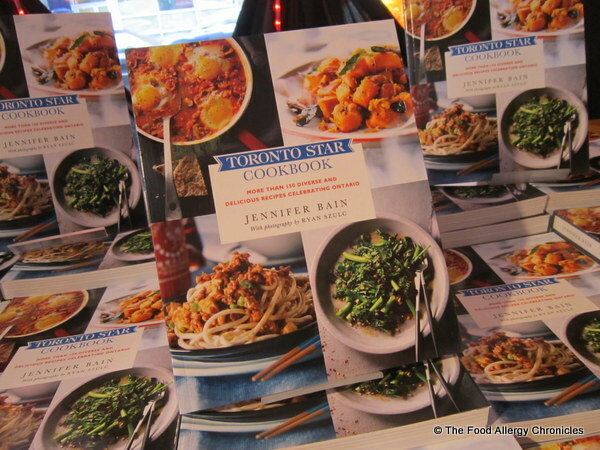 Click here to read all about Jennifer Bain’s journey of the making of the Toronto Star Cookbook in her article “So you think you can write a cookbook”. As daunting as it may sound…my dream lives on! This entry was posted in allergies, book review, Jennifer Bain's Toronto Star Cookbook and tagged Jennifer Bain's Toronto Star Cookbook, The Cookbook Store, the launch of Jennifer Bain's Toronto Star Cookbook by Susan H.. Bookmark the permalink. Sounds like a fun event! Congratulations on your quote making the cut!! Very exciting! Oh nice!! That sounds like a great outing! 🙂 Nothing better than local “real” food!! YUM!! That would be a store I could stay in for days! What a fun experience. Susan I loved having you there and was so glad you came early so we could talk (b/c it quickly turned into a blur). Glad you got to eat — the Cookbook Store made those dishes! I look forward to your book. Seriously. Do it.